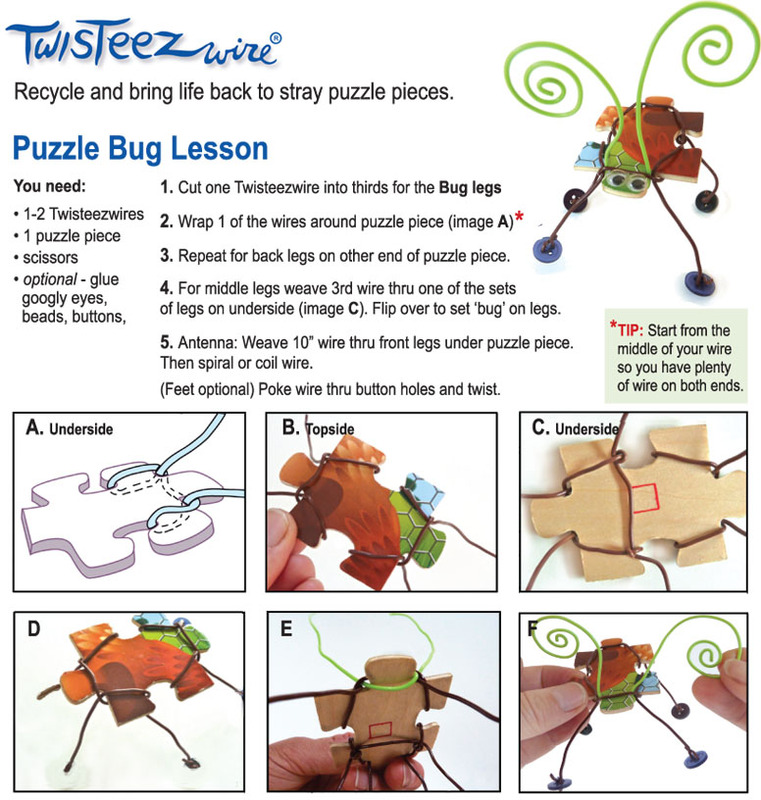 Create your own wire bugs and other critters by combining jigsaw puzzle pieces and Twisteezwire. 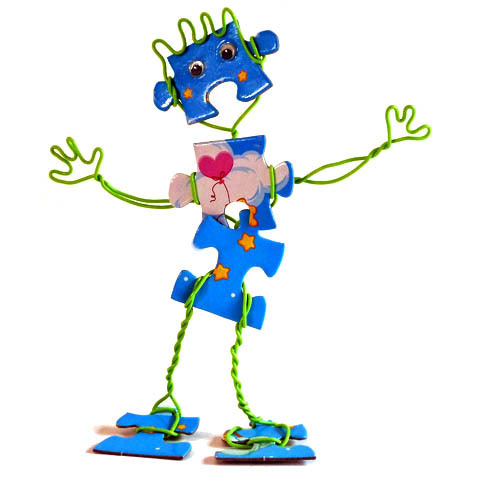 Wrap Twisteezwire around puzzle pieces to transform them or link them together. 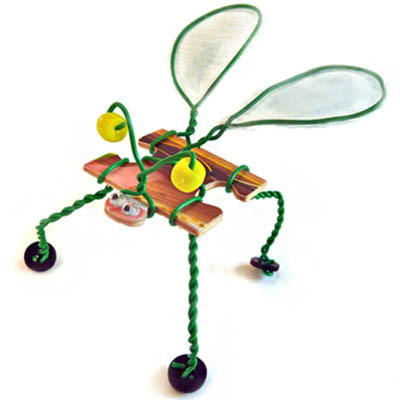 Experiment by adding wings and feet. 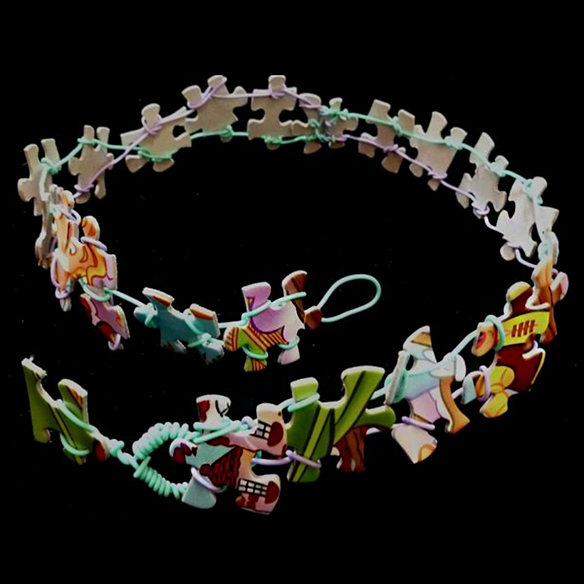 Use beads, buttons, tape, gauze, air dry clay, and other materials. 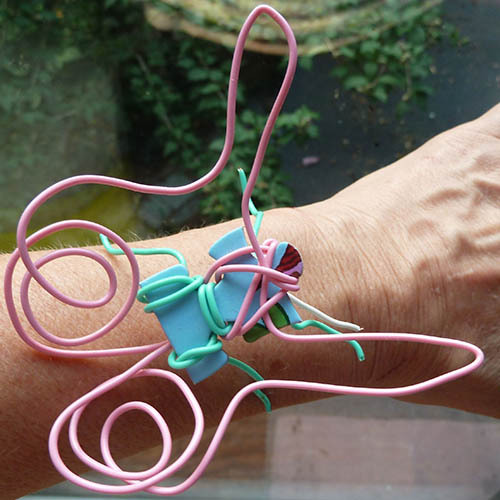 Make animals, figures, ornaments, and wearables while you bring life to old and used jigsaw puzzles. 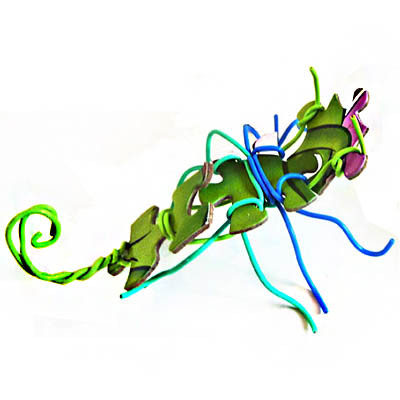 Click to view more Twisteezwire puzzle piece projects.